Why it matters: Apple has released its fiscal fourth quarter 2018 financial results. The company sold fewer iPhones than analysts expected, but revenue was up thanks to their higher selling price. Cupertino also warned that sales during the upcoming holiday season may miss Wall Street expectations, adding that it would stop reporting how many devices it sells. The news caused Apple’s stock to tank. Apple revealed had it sold 46.9 million iPhones during the previous quarter. That shows flat growth compared to the 46.7 million it sold last year and misses analysts’ expectations of 47.6 million units. However, revenue from the handsets was up 29 percent to $37.2 billion, thanks to the iPhone’s average selling price jumping from $618 to $793. Analysts had been looking for $741. This will be the last quarter that Apple reveals how many iPhones, iPads, and Macs it shipped. The company says it wants to simplify the reporting process, but the reality is that unit numbers are flat while revenue is increasing, so it wants people to focus only on the latter. "As demonstrated by our financial performance in recent years, the number of units sold in any 90-day period is not necessarily representative of the underlying strength of our business," said Financial Chief Luca Maestri. "Furthermore, our unit of sale is less relevant for us today than it was in the past, given the breadth of our portfolio and the wider sales price dispersion within any given product line." Despite the falling shares, this was Apple’s best-ever fourth quarter. Revenue was up 20 percent YoY to $62.9 billion, with earnings per share of $2.91, up 41 percent. Both beat expectations. The company also recorded its highest ever quarterly services revenue: $10 billion, up 17 percent YoY. Revenue growth was up in all major markets, with Japan seeing the largest increase of 34 percent YoY. 'Other Products,' which includes Apple TV and the Apple Watch, was up 31 percent to $4.23 billion. But it was Apple’s future guidance that spooked investors. It expects between $89 billion and $93 billion in revenue for its next quarter, whereas Wall Street expects $93 billion. 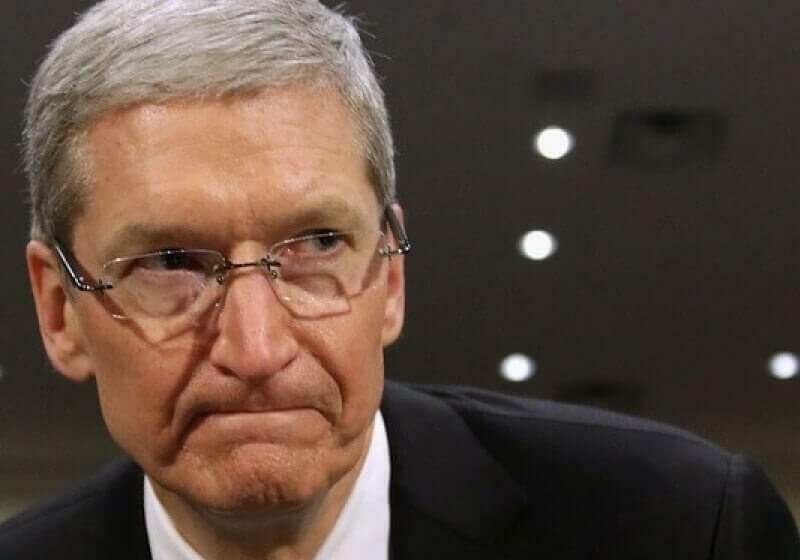 In an interview with Reuters, CEO Tim Cook blamed this on weakness in emerging markets, foreign exchange costs, and uncertainty whether the iPhone maker can keep up with demand for new products. The lower-than-expected revenue forecast caused Apple’s shares fall to as low as $205.50 a share in after-hours trading, which saw the company fall below the $1 trillion valuations it recently hit. Shares have since recovered slightly, and Apple is now back above that milestone.